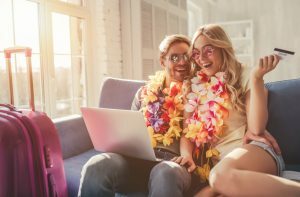 Picture this: It’s your 10th wedding anniversary and your husband surprised you with the amazing Hawaii trip you couldn’t afford to take for your honeymoon at the time. Even better, he’s booked your parents to watch your pride and joy while you are in paradise. All you have to do is teach your parents how to use Skype buy a swimsuit (gulp). What happens to the kids if, God forbid, something were to happen to you and Mr. Right on your trip? Come to think of it, have you been planning to put a will together for the kids for the past, um, well, since they were born? Married parents of minor children share joint custody by operation of law. If one parent dies, the other parent becomes the child’s sole legal guardian. Generally, the mother has sole physical and legal custody of minor child born to unmarried parents. A father must establish paternity to have exercise legal rights with respect to that child. Following divorce, custody of minor children is specified by the Divorce Decree and Settlement Agreement signed by a Judge. If the custodial parent dies, the noncustodial parent becomes the minor child’s legal guardian under Indiana law, in most circumstances. But what happens when both parents die simultaneously? The minor child becomes a ward of the State of Indiana until a formal guardian is appointed by probate court. Even if you have a will. Even if you named your brother and closest friend as guardians of your children in your will. Until the Probate Court enters grants temporary or permanent guardianship, the child is a state ward. Hopefully your brother showed up to care for your kids as soon as he heard the news. And your parents were already taking care of your kids, so your children are unlikely to end up in foster care. Unfortunately, your parents and brother have NO LEGAL RIGHTS to care for your child absent a Designated Standby Guardianship Appointment. NO LEGAL RIGHTS means the person providing care for your children is not able to enroll them in school, receive monies on behalf of the children, or consent to medical care. Hand Ponist recommends naming an Alternate Designated Standby Guardian when completing the Designated Standby Guardian paperwork, as a backup plan in the event the first named guardian is not available. Both you and your spouse must designate a standby guardian in a writing that meets Indiana statutory requirements. When you do this, your appointed guardian generally assumes custody and care for the minor child upon your death or incapacity temporarily for 90 days. That temporary guardianship can be renewed at the end of that 90 days, until a formal guardian is appointed consistent with your estate plan. When you have appointed a Designated Standby Guardian for your minor children, you can Aloha without worrying who will care for your minor children if the unexpected happens. Mahalo. Designated Standby Guardian appointments are part of our estate planning package. Call Hand Ponist to schedule your estate planning consultation. We will guide you in drafting a will, testamentary trust, power of attorney, health care appointment and designated standby guardianship*. * Trip to Hawaii not included.